In today’s fast moving business climate it’s essential to be able to communicate design information quickly and accurately between customers and suppliers. 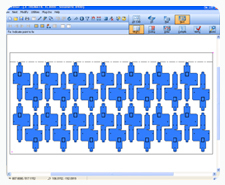 V and F Sheet Metal have addressed this need over the last decade with the implementation of the complete Radan® suite of CAD/CAM software for 2D drafting, 3D solid modeling and sheet metal parts tooling and nesting. 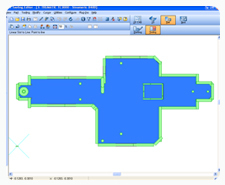 See our latest case study on Radan CAD/CAM Software here. 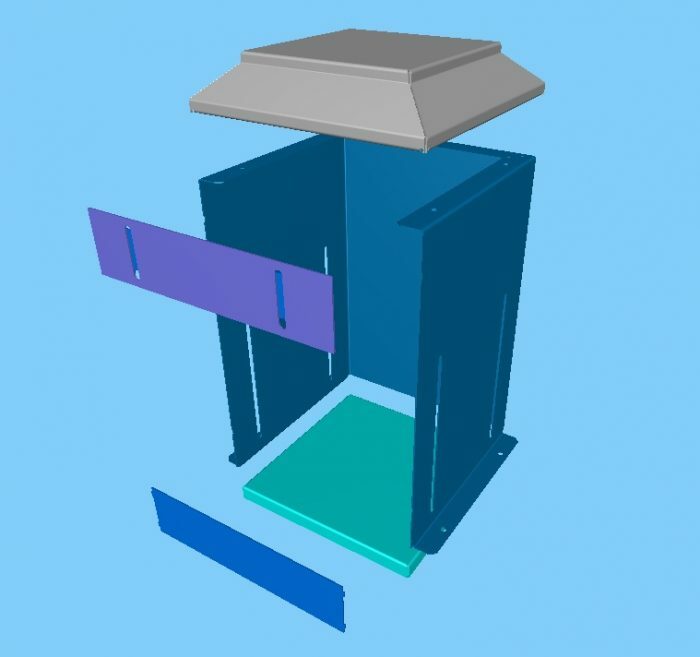 3D software models of complex sheet metal fabrications and full working assemblies can be generated to help eliminate design errors before any sheet metal work is undertaken. 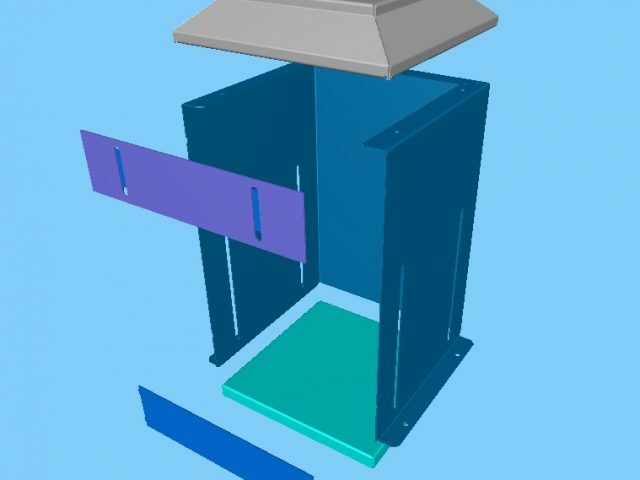 By using 3D models we can check the correct fit of components by ensuring inserts will be in line with screw holes, pop rivets will fit through the holes in fixing plates, covers have sufficient clearance over boxes, front panels align with electronics chassis on rack mounted equipment etc. 3D and 2D images can then be used to help you visualize your own designs for manufacturing suitability or to relay your design ideas to your customers. Where you only have a sheet metal sample we can produce fully dimensioned 2D drawings to work to in our manufacturing plant and for your future inspection reference. 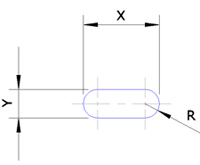 These detailed dimensioned drawings can be output in AutoCAD® compatible file formats DWG and DXF. 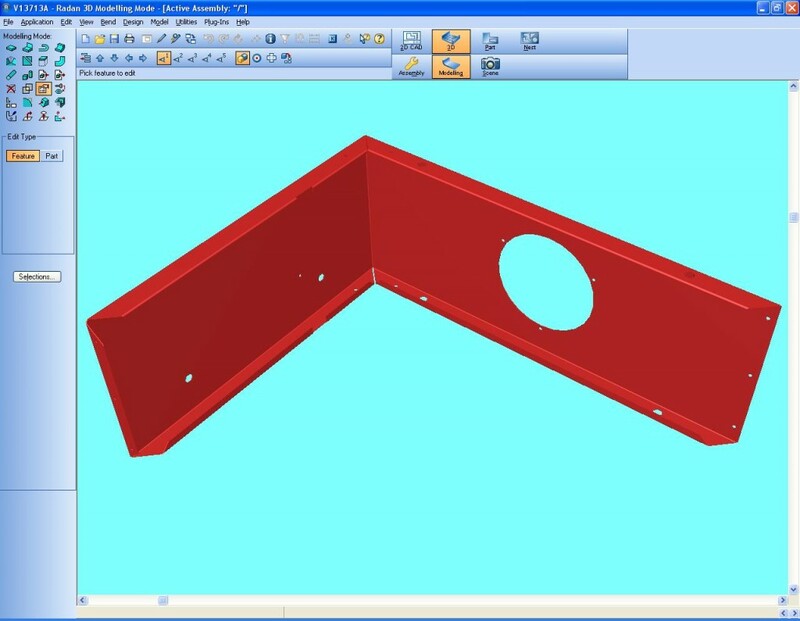 We can also import your 3D data from AutoDesk® Inventor and Solidworks® software (STEP and SAT formats) to speed up CNC punching program generation and reduce the possibility of interpretive errors. 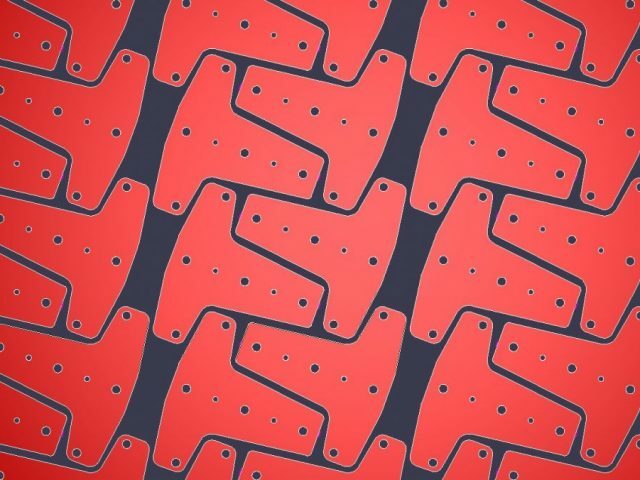 Precise 2D sheet metal flat pattern developments can be automatically and accurately produced by unfolding the 3D sheet metal model ready for the selection of the best CNC punch press tooling and the most efficient program nesting for a given sheet size. The sheets used are normally 2M x 1M or 2.5M x 1.25M in size. Other special sheet sizes can be sourced to reduce material wastage and of course smaller parts of sheets are used for smaller batch sizes or physically smaller parts making the process of CNC programming very flexible for batch manufacturing. The use of Radan’s automatic sheet nesting capabilities enables V and F Sheet Metal to quickly try out different CNC punching nests options to evaluate the best material utilization. We can experiment with the position and alignment of components within the sheets which can be a very powerful tool when manufacturing a series of parts for a family of parts. 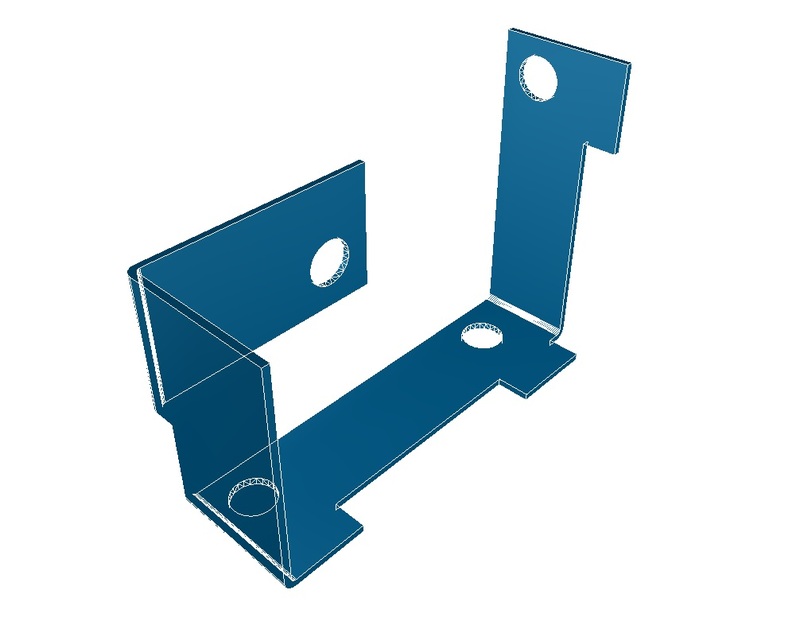 We may be able to punch small parts from within the windows of other parts, between the punch press clamps or in the dead areas between larger parts. With raw material prices rising faster than general inflation, the material costs are becoming a larger percentage of the overall component costs. Radan CAD/CAM software helps us to keep this cost to a minimum which in turn is passed onto you in more competitively quoted parts. 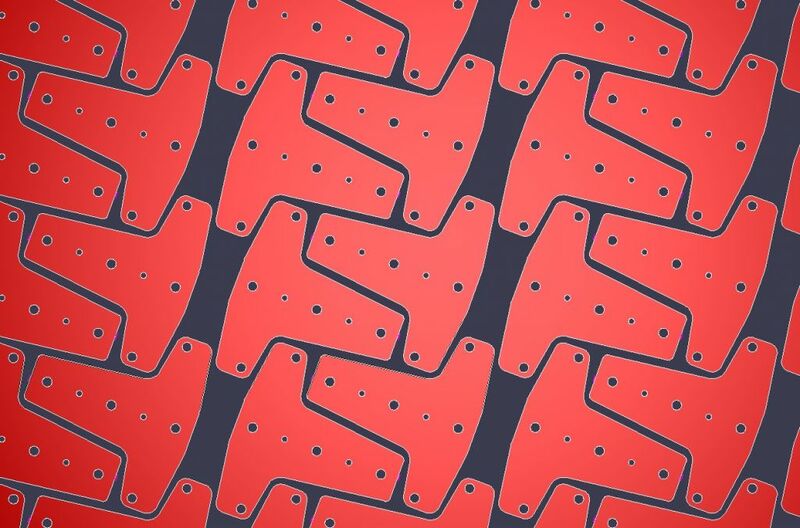 As an aside, all the sheet material that is punched out through the dies and left in the CNC frames is separated into material types and 100% recycled so nothing is really wasted. All the CNC punching features that are available on our Trumpf 3000R and Trumpf 200R CNC punching machines here in Fareham, Hampshire is fully supported by our Radan CAD/CAM software, enabling us to support you whether your design is a simple flat sheet metal plate right through to the most complex electronics chassis with many special formed features.